Many drainable pouches come with belt tabs. Other pouches come with belt tabs and curved-tail enclosures. Genairex has an offer that will give patients or caretakers a 12-inch pouch with filter, belt tabs, and curved tail and 10 filter covers as an all-inclusive package. 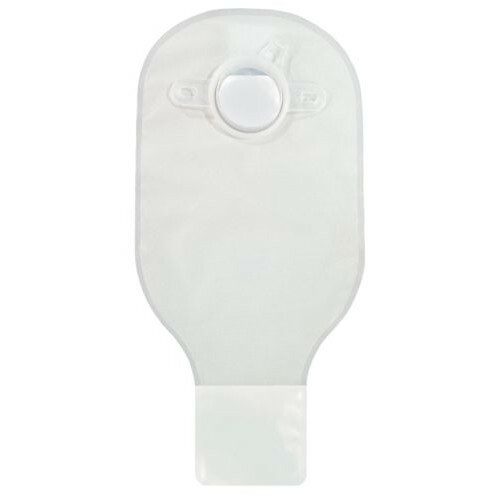 The Securi-T Transparent Drainable Pouch with Curved Tail Closure comes with a 1 1/2-inch (38 mm) flange. The curved-tail closure ensures a level of comfort with the pouch. The system also comes with 10 filter covers so patients or caretakers won't have to purchase them separately. They also have a soft comfort panel for less skin irritation and is made of lightweight material.